THURSDAY, Dec. 22, 2016 (HealthDay News) -- Testing someone's ability to process sound after a head injury may reveal whether that person has a concussion, according to a small new study. Currently, no single test can reliably and objectively diagnose a concussion, according to researchers at Northwestern University's Auditory Neuroscience Laboratory in Evanston, Ill.
"This biomarker could take the guesswork out of concussion diagnosis and management," said the study's lead author, Nina Kraus. "Our hope is this discovery will enable clinicians, parents and coaches to better manage athlete health, because playing sports is one of the best things you can do," added Kraus, who is director of the laboratory. 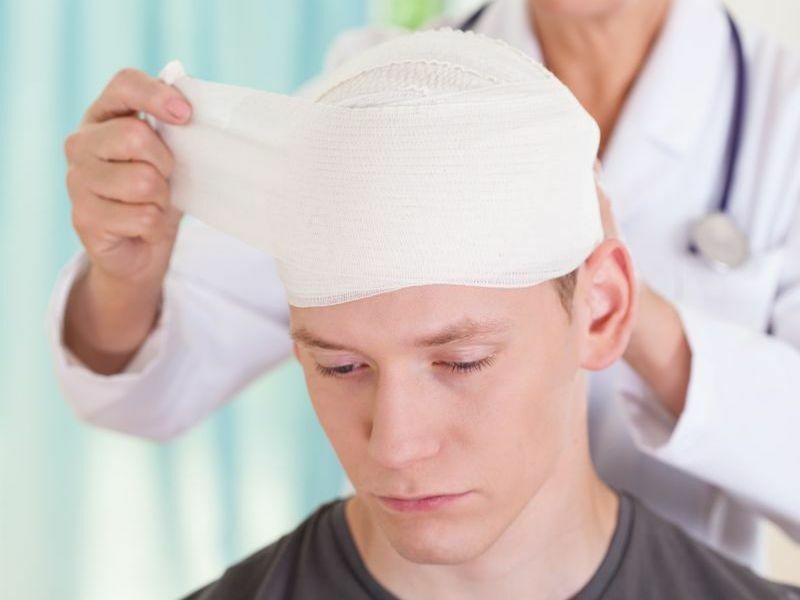 Concussions are a mild traumatic brain injury caused by a blow to the head. The study involved 40 children being treated for a concussion and a similar group of kids without a head injury. Kraus and her colleagues found that children with a concussion averaged 35 percent less brain response to pitch. As they recovered from the concussion, their ability to process pitch returned to normal. The researchers placed sensors on the children's heads to measure the brain's automatic electric reaction to sound. Using this approach, they said they successfully identified 90 percent of children with a concussion and 95 percent who did not have concussion. The results were published Dec. 22 in the journal Scientific Reports. "With this new biomarker, we are measuring the brain's default state for processing sound and how that has changed as a result of a head injury. This is something patients cannot misreport, you cannot fake it or will your brain to perform better or worse," Kraus said in a university news release. Making sense of sound is a complex brain function, which is why it's "not surprising that a blow to the head would disrupt this delicate machinery," she explained. What occurs isn't a global disruption to sound processing, Kraus added. "It's more like turning down a single knob on a mixing board," she said. She said she hopes this study is a first step toward creating a reliable, portable and affordable platform to diagnose concussions.